Theresea Ducker Vanoy, age 82, of Swannanoa, NC, went home to be with her Lord and Savior Jesus Christ on Sunday, January 13, 2019. She was a native of Buncombe County where she lived most of her life and was a member of First Baptist Church of Swannanoa. She was the daughter of the late Radney and Bonnie Russell Ducker. Theresea was preceded in death by her late husband, Billy E. Vanoy who passed away in 1974 and her two children, Radney Payne who passed away in 1964 and Sonia Payne who passed away in 1963. 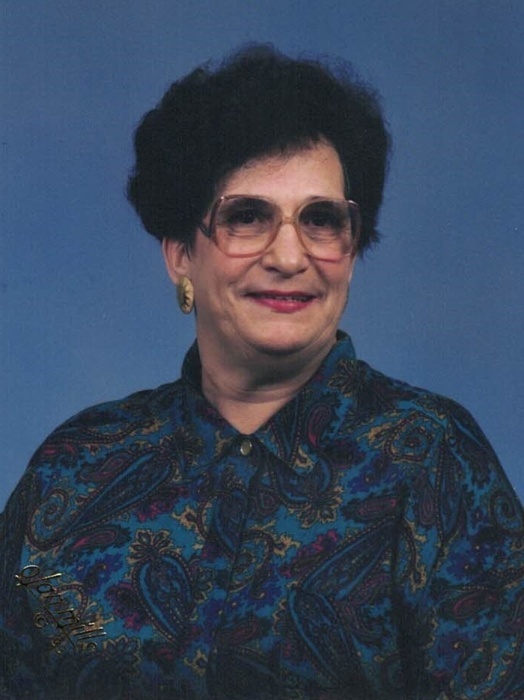 She was a dedicated mother and grandmother and supporter of Warhorse football. She had retired from Kellwood Manufacturing and Beacon Manufacturing. Theresea is survived by her children, John H. Payne (Pam) of Weaverville, Darrell K. Payne, Tonia V. Myers (David), and Tony R. Vanoy, all of Swannanoa; her grandchildren, Dustin Payne, Brandon Payne, Christian Myers, Seth Myers, John Payne III, Austin Myers, Tori Vanoy, and Hope Myers; nine great grandchildren; her siblings, Dewey Ducker (Louise), Ruth Waldrop, Cecil Ducker, Dwight Ducker (Lynn) and Eugene Ducker. A memorial service will be held at 11am, Saturday, January 19, 2019 at the First Baptist Church of Swannanoa. The family will be receiving friends at the church from 10am-11am. The Rev. Dr. Jeff Dowdy and Rev. Dan Snyder will be officiating. In lieu of flowers, donations may be made to the First Baptist Church of Swannanoa at 503 Park Street, Swannanoa, NC 28778. Penland Family Funeral Home is honored to be caring for the Vanoy Family.